Cash for Cars in North Dakota - We Buy Cars Fast! Are you selling an old or unwanted car in North Dakota? Then you need a buyer who can act fast and deliver cash into your pocket. Don't get your hopes up with local buyers - that is, unless you enjoy getting calls from strangers at all hours. On top of that, you’ll be wasting your valuable time with constant back and forth negotiating. Think twice before selling privately. Welcome to CarBrain. It’s the fast and smart way to sell that car. 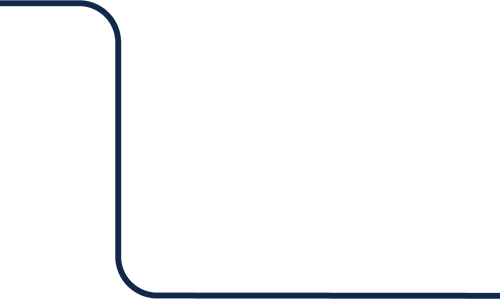 Our team has over three decades of experience in the car business. We’ve created a fast and interactive price engine that can make an online offer on most makes and models in just 90 seconds! If you agree to our offer, we’re prepared to deliver the payment and tow your car at no cost to you in just 24 to 48 hours! If you’re ready to sell your car the smart way, click here. CarBrain has service throughout most of North Dakota! We can buy your car in areas near Fargo, Bismarck, Minot, Grand Forks, and other areas near you! If you agree to our quick and fair online offer, then we’ll pick up the vehicle and tow it for FREE. We can tow from most places whether it's at your home, place of work, repair shop, or most other tow truck-accessible areas. It only takes 90 seconds for our interactive system to make an online offer for most cars. Get yours today - click here. Who Buys Cars In North Dakota? North Dakota is one of the least populous states in the US. It can be a difficult task to find the right buyer if you're in the market to sell a car. Most buyers in the business just want to make sure they buy your car for a bargain. They have unique sales tactics just to bring down your asking price and buy your car for cheap! Instead of selling to a random buyer, sell to CarBrain! We’re the smart way to sell your car and we’ll make you a quick and fair online offer today! The moment you try to sell privately, your phone will blow up with random calls and texts from strangers at odd hours. Imagine how many buyers you'll have to run through before you get a decent offer. That's a lot of time that you’ll spend haggling back forth over your fair asking price. Thankfully, CarBrain has you covered! You can sell your car from the comfort of your home because our process is that quick and easy! Whether your vehicle is wrecked or totaled from an accident or it is damaged mechanically, our interactive price engine will make you a fast, haggle-free online offer! If you don't mind buying a new and expensive car and intimidating negotiations to try and get a good deal, then a car dealership is the place for you. Car dealerships may buy your car but more than likely you’ll have to trade-in your car and buy one from them. Most car dealerships have no interest in your car - they just want to sell one of theirs. They will keep incentive bonuses for themselves unless you haggle for it and their offers will always be lower than any private sale. 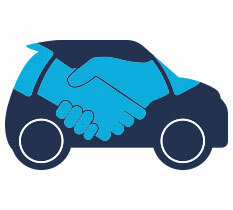 Fortunately, here at CarBrain you won't have to barter a good deal for yourself nor get into an expensive car payment. Submit your vehicle through our interactive price engine and we’ll make you a fair online offer with no obligation! It's that simple. Junkyards and scrap yards could also be potential buyers for your unwanted or less-than-perfect car but locations like these are only interested in what they can scrap from the car. Their offers will always be salvage value and they will not take into consideration premium options that you may have like a sunroof and leather seats. Here at CarBrain, all our offers are unique, just like your car. We know that no car is damaged the same way and that's why our price engine is designed to get as much accurate information on your car - to help it make a fast, fair and unique online offer! CarBrain is the smart way to sell your car! Don't waste any more time with buyers that aren’t serious. Our process is fast and simple. Just follow a few easy steps and in just 90 seconds your car could have one of our online offers today! To get started, click here. How Do I Sell My Car In North Dakota? The time it takes to sell a car can affect the price you get for it. There are many things a buyer will look at when they are appraising and buying a car. If everything does not check out for them, you could lose out on a deal or lose a bunch of money on your car. Keep the parts on the car. To ensure you get the best offer, keep the car as complete as possible. Never remove parts that make the vehicle roadworthy like the engine, transmission, wheels, and battery. The more incomplete your car is the lower the offer will be. Have a set of keys. If you're selling a car without keys, then the buyer cannot attempt to start the car, they can't secure the car properly, and some car keys can cost hundreds of dollars to replace. If you don't have keys, then it will have a negative effect on the offer. Have all State requirements: Make sure you have all the required documents to sell a car. Without these documents the buyer cannot transfer the car out of their name. It can take over a month to get a replacement for some documents and by that time the buyer could have withdrawn or reduce their offer. In North Dakota, all you need is a title and valid ID to sell your car. If you’re ready to sell your car and get some cash in your pockets then head over to CarBrain. We’ll make you a fast and fair online offer for your unwanted or less-than-perfect car. 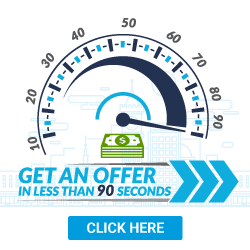 Our system is designed to make offers on most cars in just 90 seconds! To get your offer today, just click here. You need a buyer like CarBrain! We have a dedicated team of buyers ready to help you. Our price engine will make an offer on most cars in just 90 seconds and we’ll deliver you the money and tow the car for FREE in just 24 to 48 hours. Are you tired of wasting time with strangers and shady dealers? Then head over to CarBrain. We’ve simplified the way to sell your car and we can get you a fair offer in your pockets today. Through our easy step-by-step process you can have an offer for your car in a timely manner and we will tow it for free in just 24 to 48 hours. We will tow your vehicle for free to any of our North Dakota locations. What should you know before selling to a junkyard or private buyers in North Dakota?